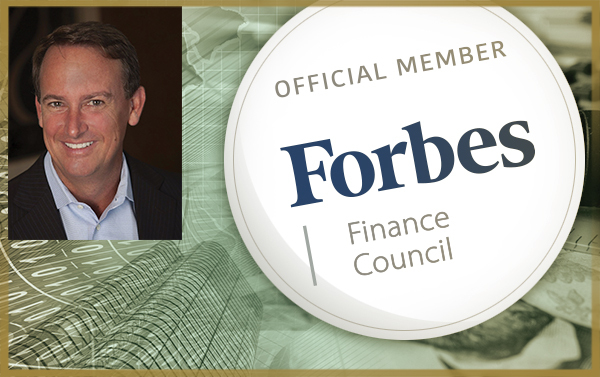 We’re pleased to announce our President Tom Ruggie, ChFC®, CFP® has been selected as a member of the Forbes Finance Council. As one of approximately 20 members, he’ll have the opportunity to share financial insights on Forbes.com with tens of millions of monthly readers. The Forbes Finance Council is an invitation-only community for executives in accounting, financial planning, wealth and asset management, and investment firms. Members are hand-selected by the Council’s community team, who look for executives whose success in a given industry has been recognized publicly by industry organizations, trade publications and other professional peers. “I’m excited to share my views and expertise with Forbes readers,” said Tom. “This opportunity gives me a wider audience to talk about the unique programs and services we have developed for Ruggie Wealth clients. At the same time, it helps me keep an ear to the ground to learn what’s on the minds of others in the financial industry.